View the THNK FSTVL schedule & directory. Note that FSTVL is only open to THNKers - alumni of THNK's Executive Leadership Program. Seeking transparency? Explore the FSTVL 2018 Budget to understand more about costs and ticket prices. This year we've added an optional Solidarity Fund donation option to the ticketing platform... Mmmm, yes it sure feels good to be generous! The Solidarity Fund closed its application round on August 19th. A BIG THANK YOU to our 2018 Solidarity Fund committee: Kate Mackintosh, Nick Gerritsen, Huib Wurfbain, Nick Graham, Anne Sallaerts, Afonso Mendonça Reis. This year, FSTVL will take place at multiple locations close to the heart of Amsterdam. 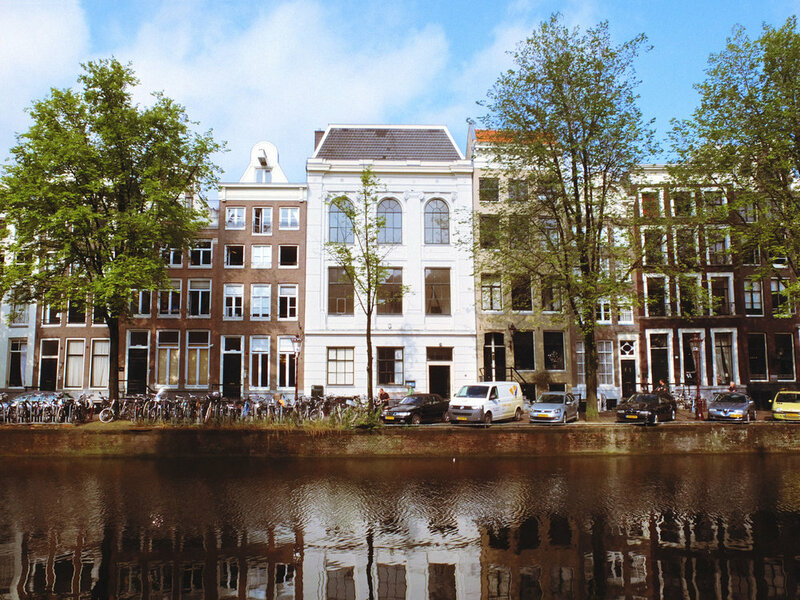 The THNK Home at Keizersgracht 264 will be the main venue, but many larger group sessions will be at additional venues. These will be clearly indicated in the program. From Central Station, head west on Prins Hendrikkade toward Nieuwebrugsteeg/Waterkeringpad (260m). Turn left onto Damrak (550m) until you reach Dam Square. Cross the square and turn right to continue straight onto Paleisstraat (250m), Gasthuismolensteeg (98m) and Hartenstraat (170m) until you reach Keizersgracht. Cross the water and turn left on Keizersgracht to find number 264 on your right. From Centraal Station, take either tram 13 in the direction of Geuzenveld or tram 17 in the direction of Osdorp Dijkgraafplein. Get out at Westermarkt (3 stops). From there, walk east until you can turn right on Keizersgracht. Continue straight on Keizersgracht to find number 264 on your right. From Centraal Station, head west on Prins Hendrikkade toward Nieuwebrugsteeg/Waterkeringpad (260m). Turn left onto Damrak (550m) until you reach Dam Square. Cross the square and turn right to continue straight onto Paleisstraat (250m), Gasthuismolensteeg (98m) and Hartenstraat (170m) until you reach Keizersgracht. Cross the water and turn left on Keizersgracht to find number 264 on your right. THNKers lives all over the world and many have an extra couch or spare room. Check the link to the THNKBnB database at the bottom of every Community newsletter. THNK has agreements with various local hotels. Discounts vary from 10% to 15% per stay. Take a peek and treat yourself to a stay in one of these locations. Group together and rent a multi-room home on Airbnb. Couchsurfing could also be a fun and free sharing option depending on your sense of adventure. . . Whether you completed your THNK experience six months ago or six years ago, FSTVL is an opportunity to come back to each other and oneself. In six years’ time the THNK community has grown worldwide to 600+ creative leaders from over 50 countries. THNK FSTVL brings us all back together and empowers us to find synergies across classes, create shared value, and accelerate our individual and collective impact. Get ready for a 72-hour immersive experience. With so many inspiring people to meet and sessions to experience, it's worth thinking about to maximum time. Learn more about each other beforehand on THNK.org and in the LinkedIn THNK Alumni group. Plus, return back to this site for a list of attendees.